August 2nd-Yesterday was low key, we stayed in Vermont and enjoyed the beautiful day by taking Woolly Bear on a long walk, then testing out the View by driving around the block. We took Rt 125 over Middlebury Gap and returned via Brandon Gap, Rt 73. Our View powered up both inclines without a problem! Today we head to Lake Winnepesaukee in New Hampshire, and a visit with a good friend of Charlie’s. 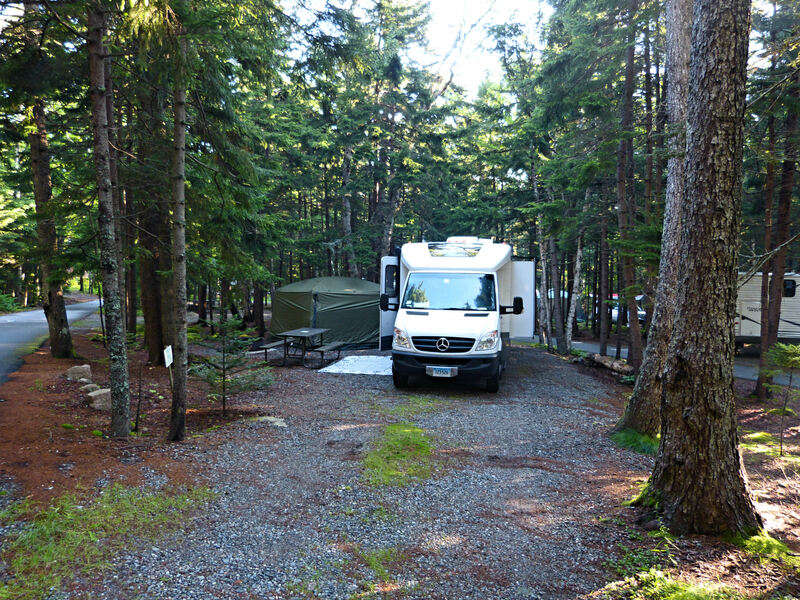 We were fortunate to get the last camp site in the area, as it is a Friday and the campgrounds fill up quickly. We are at Bears Pine Wood Campground and can walk to Browns Cove on Lake Winnepesaukee from our site. 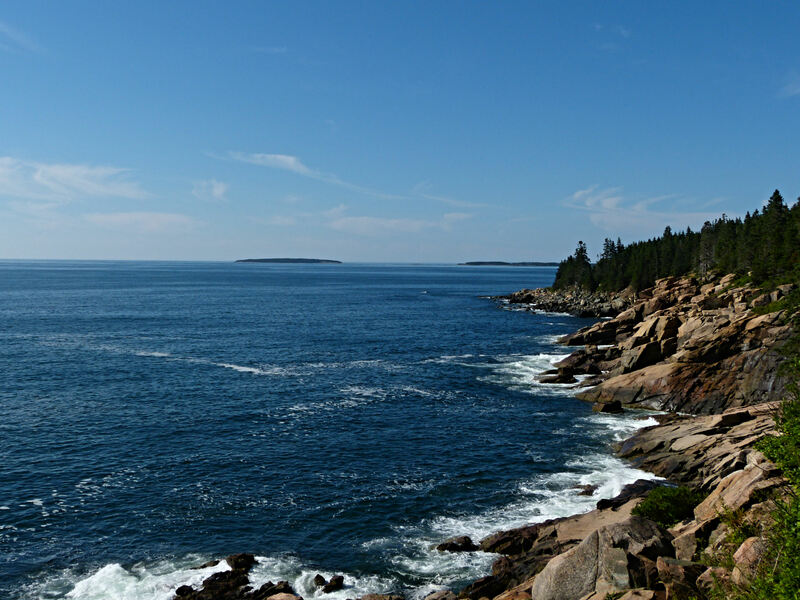 August 3rd we headed to Acadia National Park for 3 nights stay at Blackwoods Campground. The campsite was in a wooded area close to the Ocean Path. Each day we walked to the cliffs overlooking the ocean and enjoyed the scenery. No electricity or showers at the campground, but the scenery and solitude make it worthwhile. Of course, we have not had cell service or internet for the past several days! We leave on August 6th and head to Campobello Island in New Brunswick. 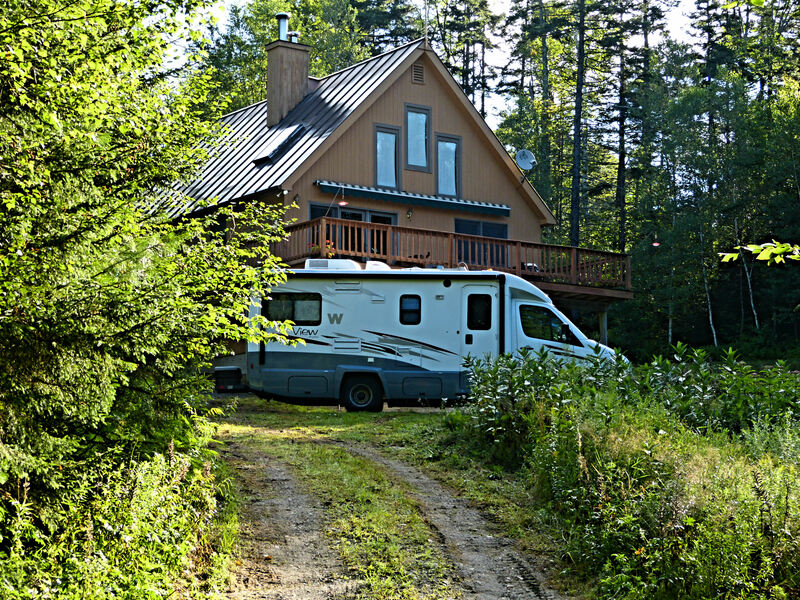 This entry was posted in Rving on August 6, 2013 by Ramblin' Rose. GREAT to hear from you! Your pictures are spectacular! Sounds as though the three of you are enjoying and embracing each day to the fullest! Happy and safe trails to you as you leave for Campobello Island! Thanks, Liz. I hope your summer is fun filled and joyous! We will have to get together and catch up once I am home! …forgot to mention the awning on your VT house looks great! I love the picture of the coast line!